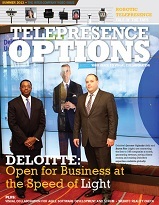 This feature story for the 2013 Telepresence Options Magazine takes a close look at the current state of this exciting new standard. This exclusive is available below for free, in its entirety. WebRTC today is like LeBron James in 2004: Saddled with unrealistic expectations about becoming the next big thing overnight, James took years to mature into a champion. 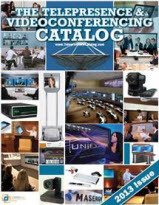 Now WebRTC is struggling to overcome the premature hype and prove that it can be a videoconferencing game-changer.